Vehicle graphics are an excellent marketing tool to get your message onto the streets and highways. Let Safari Signs & Etched Solutions create and apply your message of the service you can provide your customers. 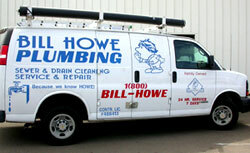 Vehicle graphics can be a professional and fun way to get attention and bring in the business! The quality of our High Performance vinyl and reflective products will provide you with years of advertising and comes in a variety of colors for your choosing!